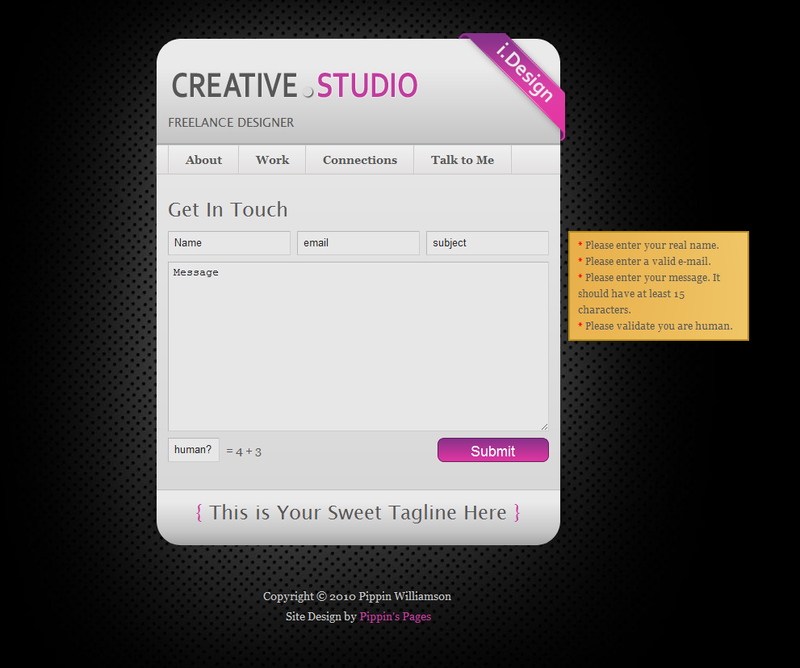 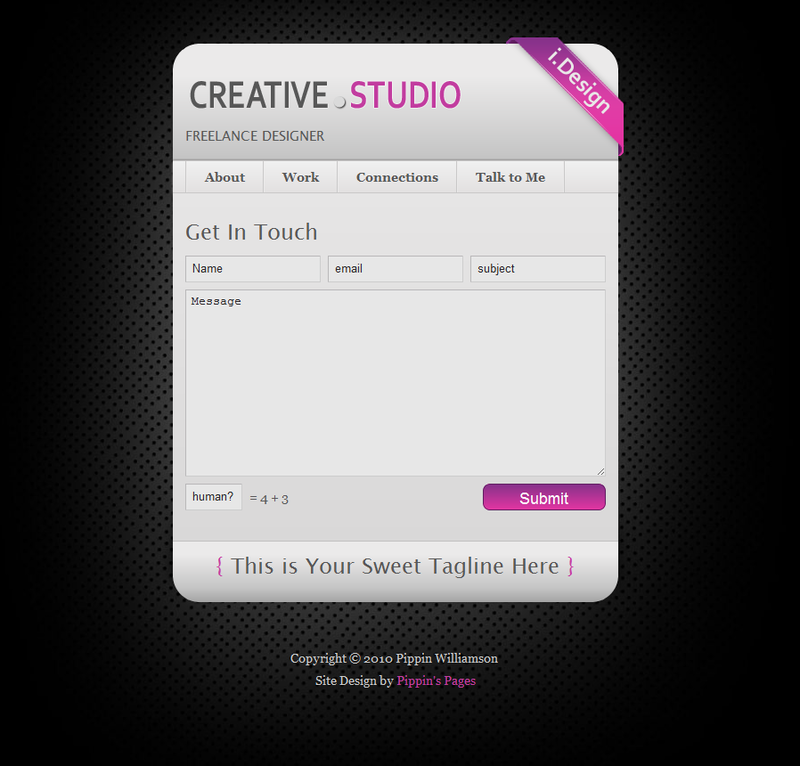 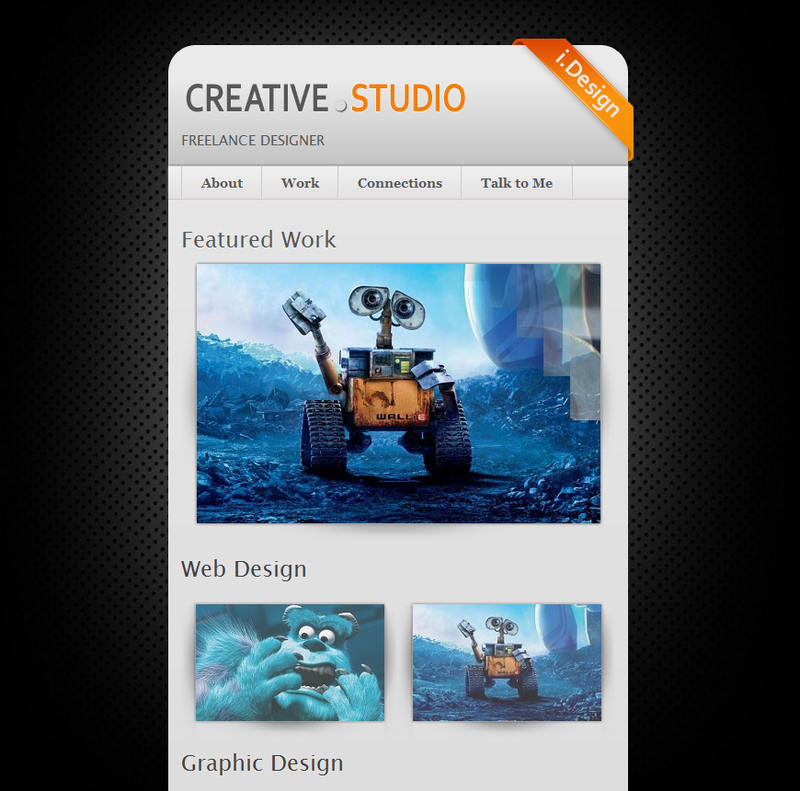 Creative Studios is a simple website template perfect for web, graphic, or photo portfolios. 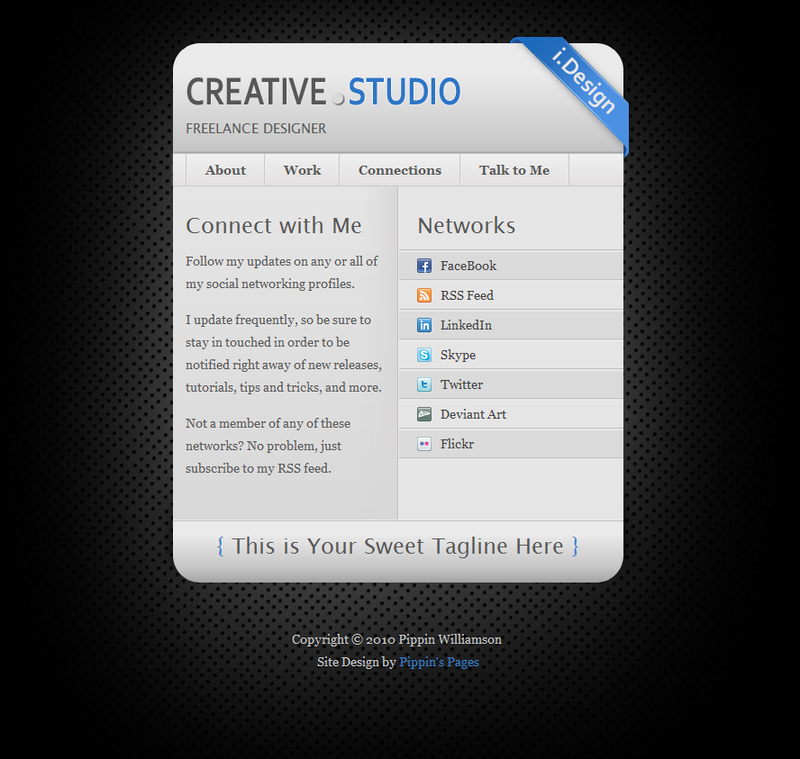 It comes with five page layouts, including: home, social media connections, portfolio slider, portfolio thumbnails, and about. 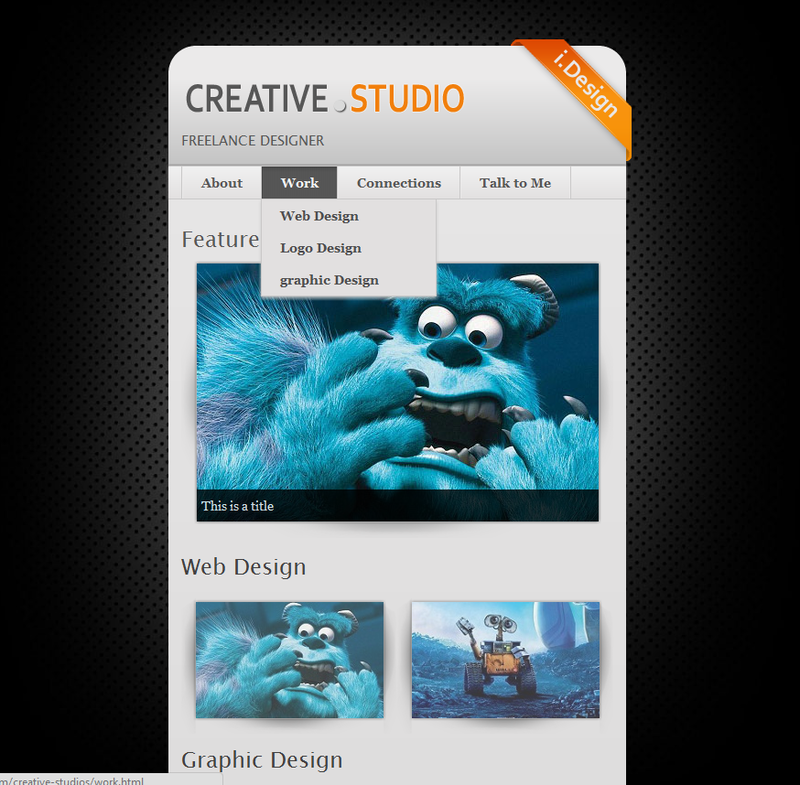 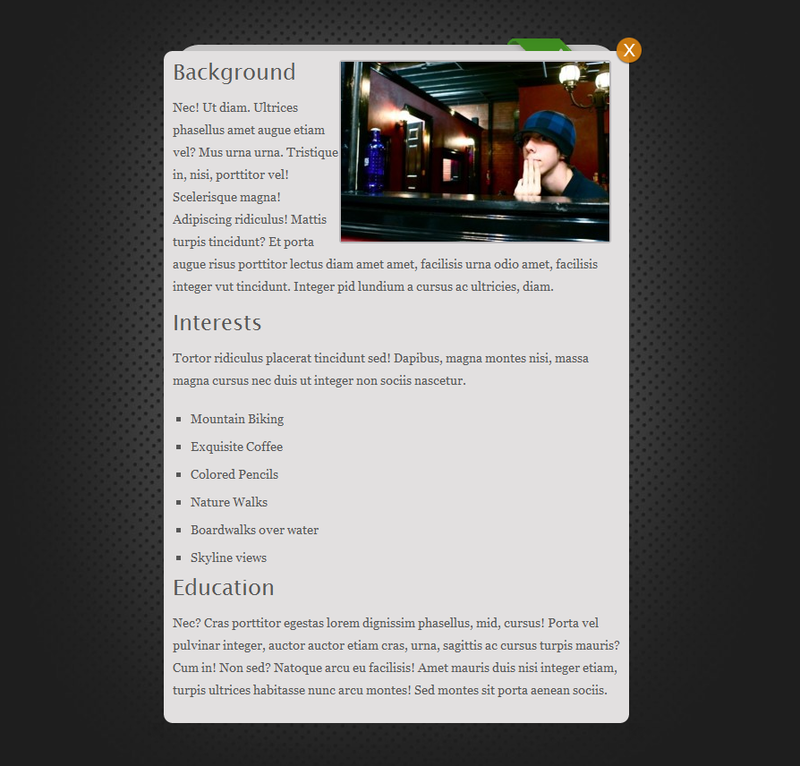 Features: 6 page layouts 7 colored ribbons 6 background patterns Fully functional contact form.